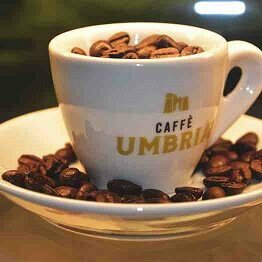 At D’oro Gelato e Caffè, we proudly serve coffee by Caffè Umbria. 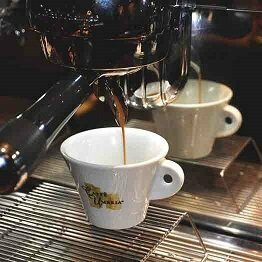 Blending different types of coffee from various parts of the world is an Italian tradition, one that Caffè Umbria understands well. A well-balanced premium blend is made by combining diverse varietals of numerous origins, and then roasting them to bring out the best of their individual characteristics. Variations in both coffee grade and quality mean a roaster must be both artist and scientist to ensure quality and consistency. 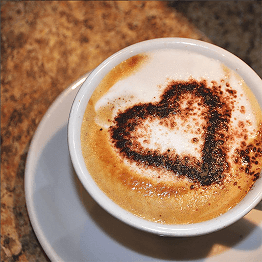 Whether you order a latte, americano, espresso, cappuccino, or macchiato, we believe the coffee we serve at D’oro Gelato e Caffè is the best coffee you’ll ever have! Caffè Umbria is a full-service, wholesale coffee roaster based in Pacific Northwest, but the family’s roots in roasting go back to the 1940’s, when Ornello Bizzarri built his roastery in Perugia, Italy. Three generations later, Ornello’s grandson Emanuele Bizzarri has carried the tradition of coffee roasting on through Caffè Umbria. Since a single coffee bean cannot possess the complexity necessary for great espresso, Caffè Umbria selects the best varietals from around the world to produce each Caffè Umbria blend. Caffè Umbria uses up to 15 different varietals, with the bulk coming from Central America, South America, and Africa. 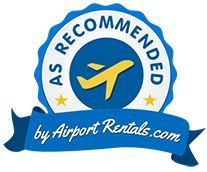 Caffè Umbria is currently served in hundreds of cafés and fine dining establishments throughout North America.